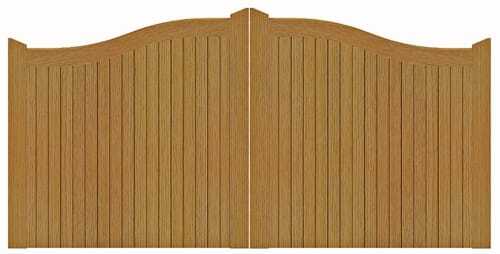 The manor range of gates are all impressive and imposing close boarded gates which are ideal for both security and privacy. Made using strong morticed construction with superior section sizes, the manor range are all available in both Iroko and softwood. Iroko is an African hardwood renowned for its durability and stability. The softwood is a selected slow grown Scandinavian kiln dried softwood which is supplied untreated ready for a microporous pigmented treatment of your choice, to be applied prior to installation.